In case you're living under a rock, Rahul Baba, India's most favourite politician, just got trolled by, the standup comedy group, AIB. To be fair, trolling is aimed not just at the scion of India's most famous political family, it is also aimed at Facebook. 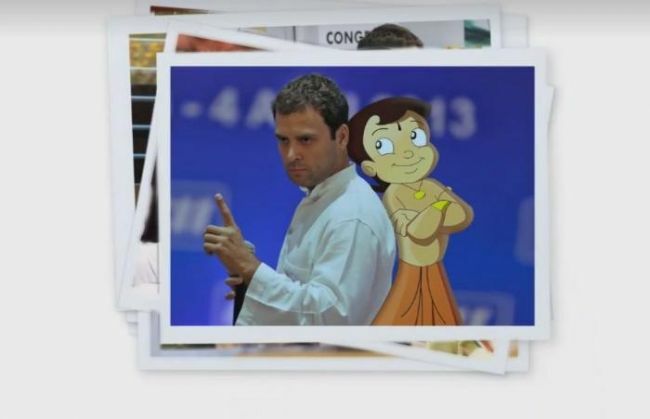 Poking fun at Gandhi, the video shows pictures postcards of those who AIB thinks are his 'favourite people' and best friends, his mother Congress supremo Sonia Gandhi, and Chota Bheem. From meme-worthy speeches, to his real-life photo ops, everything has been documented. With love, and a whole lot of sarcasm. AIB had earlier released Friends Day videos on behalf of Arvind Kejriwal, and PM Narendra Modi.